I have a blog crush. Sprouted Kitchen. It's the blog love child of a ridiculously cute couple, Sara and Hugh. 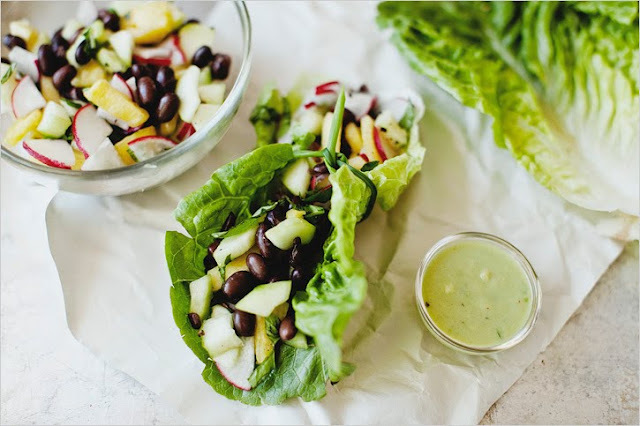 She creates the delicious eats, and he documents with excellent lighting. 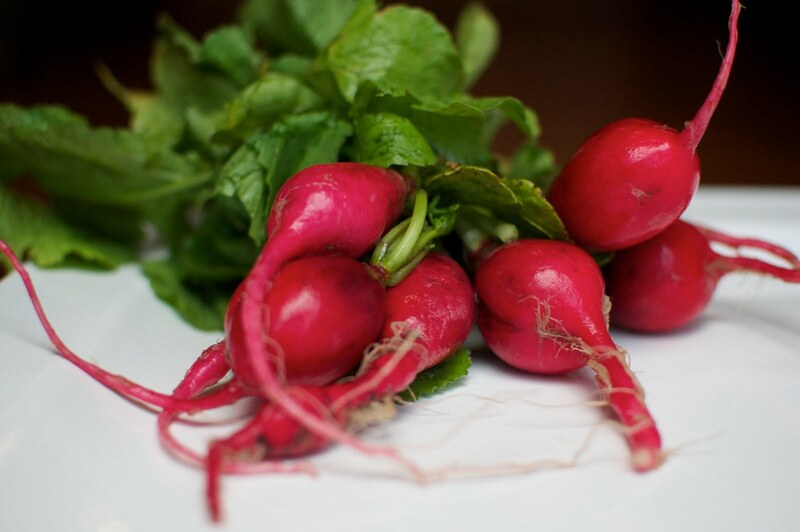 Sprouted Kitchen has inspired me over the last year, with unexpected culinary combinations. 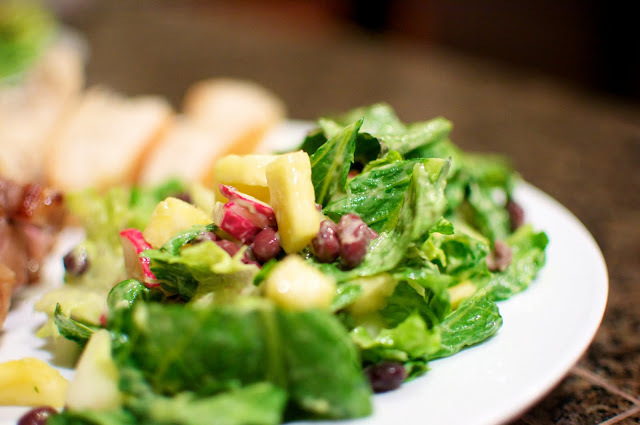 I saw this crunchy salad and had to give it a try. 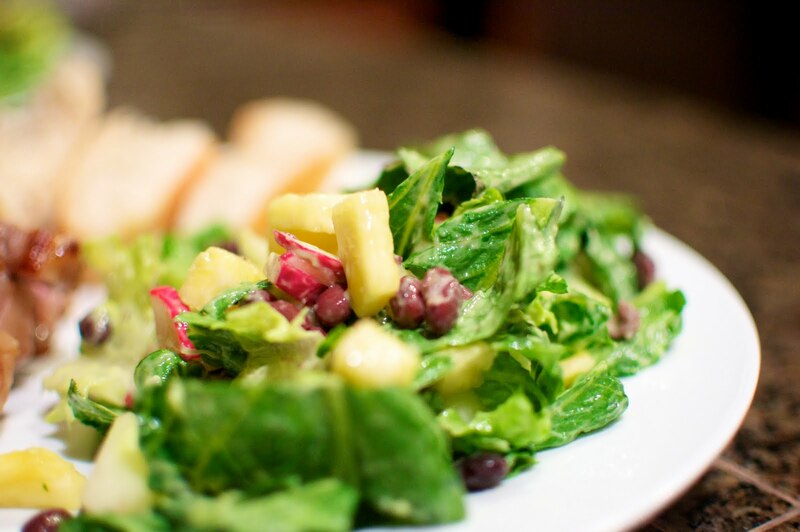 Radishes and Pineapples and Black Beans. How does she come up with this stuff? Lucky for me, I have my own manly man that enjoys documenting me chopping fresh veggies. Pictures below. 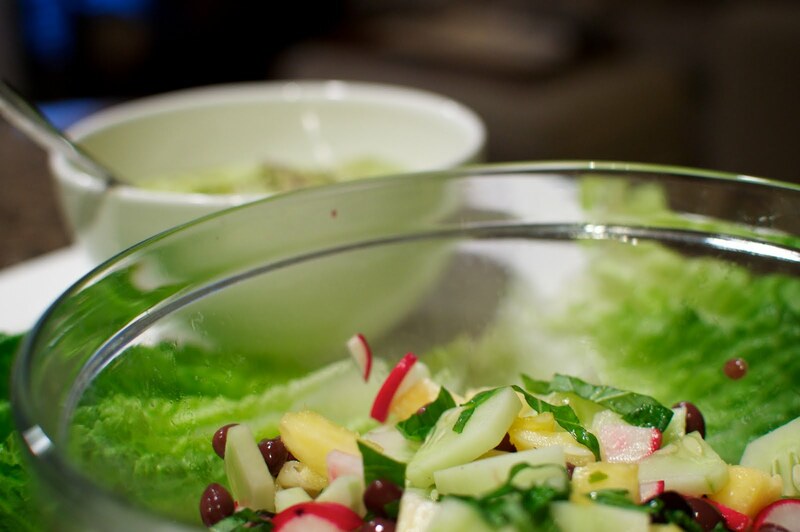 We served this salad to his family this Memorial Day, and they loved the fresh crunch. People raved and served seconds. Always a good sign. 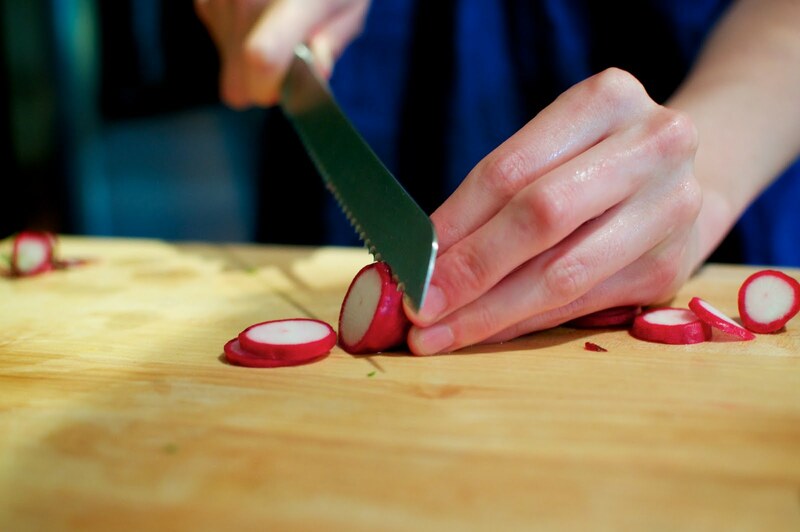 Slice radishes in thin slices and then quarter. 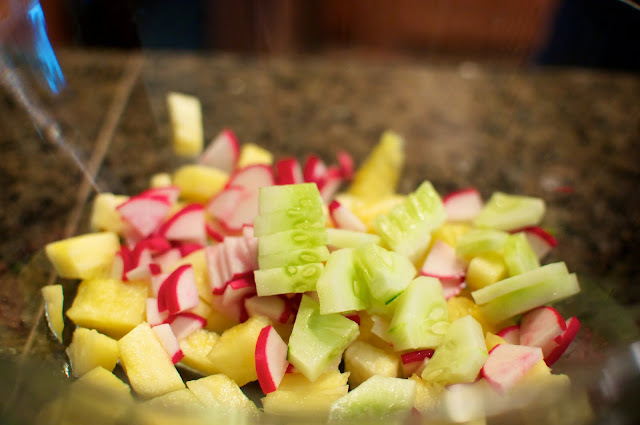 Chop pineapple and cucumber, and throw them in. Add chopped basil and black beans. Now for the dressing. 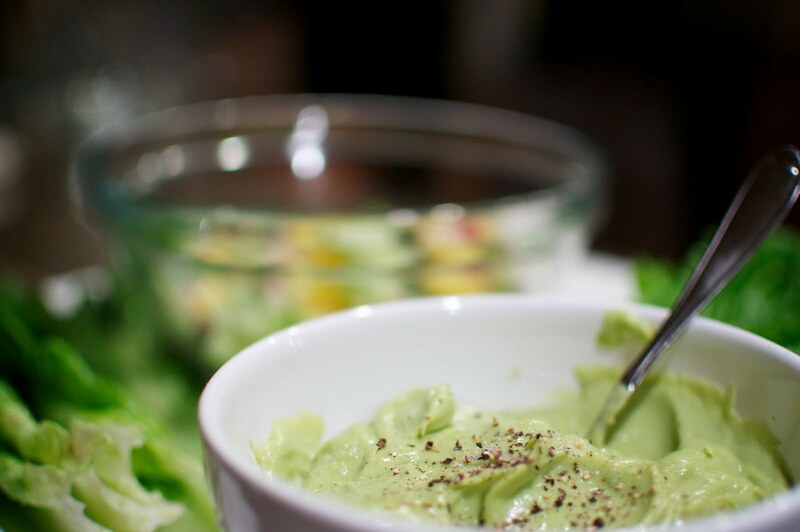 Mix one avocado, 1/4 cup buttermilk, 1 tbsp. honey, 1 tbsp. apple cider vinegar, juice of one lime, splash of tabasco hot sauce, salt/pepper to taste. If you are fancy, you can make lettuce wraps with the veggies and dressing. 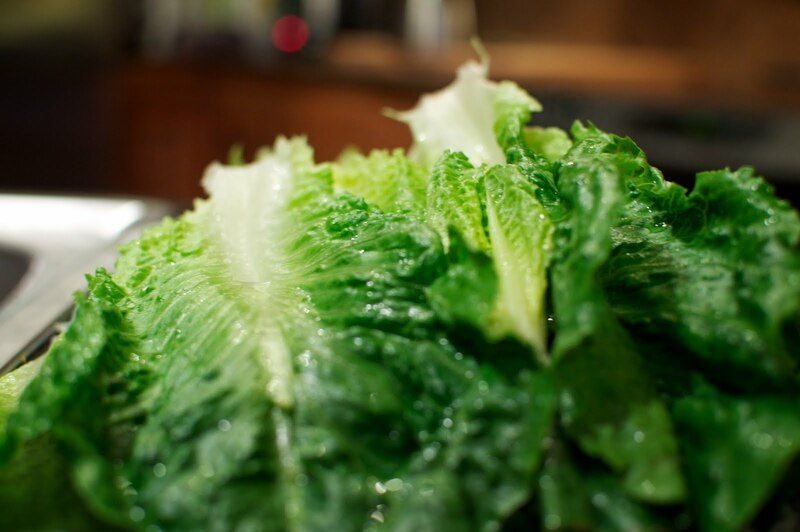 If you are serving a huge group, you can chop up that lettuce and throw it in. Mix with the dressing, and enjoy!